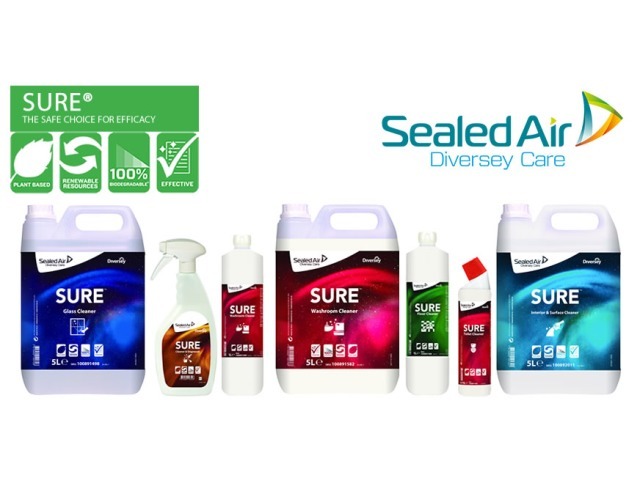 SURE Cleaner Disinfectant is part of a unique range of plant based, 100% biodegradable professional cleaning products for all daily cleaning needs. SURE Cleaner Disinfectant is a concentrated detergent disinfectant in a pouch for cleaning and disinfection of all surfaces in food premises. 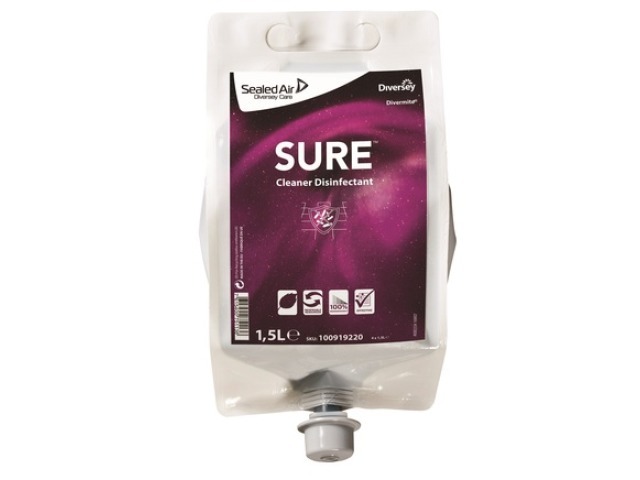 For dispensing accuracy SURE Cleaner Disinfectant should be used with Divermite dispenser from Diversey Care. Simply click a product for more details.